A few months ago it was revealed that Microsoft’s upcoming Creators Update for Windows 10 would include a new "Game Mode" to enhance the PC gaming experience by prioritizing system resources. At the Game Developers Conference last week, Eric Walston from the Xbox Advanced Technology Group explained a bit about how exactly the feature will work. As we already knew Game Mode is all about intelligently allocating hardware resources to a running game when it’s turned on. On the Windows OS level, instead of games being treated like just another process, the operating system will reportedly isolate CPU resources to be devoted exclusively to it and optimize the GPU to give the game as much attention as possible as well. Specifically on the CPU side, Game Mode allocates a majority of available CPU cores to be devoted exclusively to the target game, while processing threads from other applications and system functions are handled by the remaining cores. By separating gaming from non-gaming threads Game Mode also reduces thread contention among the various gaming process threads that can take a toll on performance. 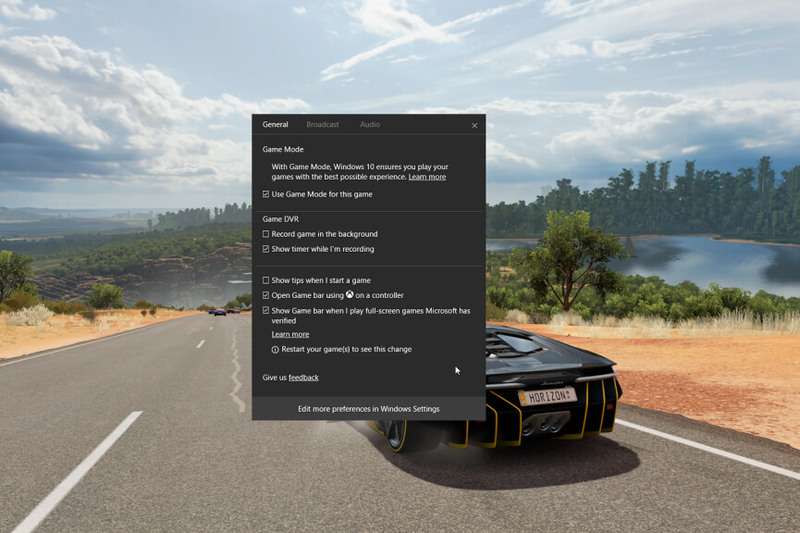 Game Mode is also said to improve the amount of GPU cycles given to the active game, reducing the time available for everything else, and optimized GPU memory residency to assets associated with the game. Performance gains are expected to be subtle and most noticeable at the low end. Users will be able to turn Game Mode on or off, but developers can reportedly use new internal functions to check the system and determine whether it's worth turning on Game Mode by default for their app.